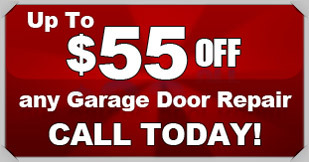 Crowley garage door repair needs to be top notch, and at Action Garage Doors, that is exactly how we do business. Our garage door service in Crowley is constantly exceeding the high expectations of our customers for multiple reasons. When you want the best in garage door repair and other services, you have to turn to the best. For years, we have been providing residents all over Crowley with the garage door service they need to have their garages in the best working order. As a garage door repair company that is committed to customer satisfaction, nobody beats Action Garage Door. Our family-owned business has been satisfying customers for 30 years and we are waiting to help you find the services you need for your garage door in Crowley. Our work is done in compliance with all applicable codes and our products can handle the harshest weather. If you need garage door repair Crowley, call us at Action Garage Door. I was pleasantly surprised to be able to get same-day service on my garage door repair. When the tech showed up he was very professional and did a great job. I would definitely recommend them to any of my friends. The estimate process was simple and straightforward. Allen answered all of my questions and even some that I hadn't thought of. The tech is very knowledgeable, has great customer service, it was a bad storm, I had to get back to work because I am a first responder, he fixed my door, secured my house and called me when he was done. Allen made himself available quickly and was always willing to help in any way. Allen is the best, he is very knowledgeable about his job, I will will use this company again because of Allen. Excellent, it was like talking to a friend, he also told me what I need to do in the future..
Allen came out the same day and assessed our door situation. He was knowledgeable and recommended only what we needed. Had preventive maintenance service call today. Called Chris at Action Garage Door to set up a pm service call. Was pleasantly surprised when Chris had a service guy at my residence in less than forty-five minutes. Chris was courteous, helpful and prompt. Allen, who serviced my door was outstanding. He’s professional, courteous, friendly, knowledgeable and very personable. He had my garage door working flawlessly. At Action Garage Door, we understand you have many needs when it comes to garage door service. For this reason, our garage door service goes way beyond simple repairs. 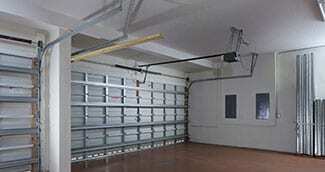 We repair and install steel and wooden garage doors, malfunctioning garage door rollers and much, much more. No two home or business owners are alike, and our garage door repair company understands that no two will want the exact same garage doors and set up. 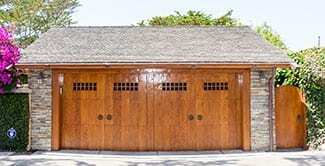 At Action Garage Door, we offer a variety of garage doors for installation in Crowley homes and offices. Some of our options include, Carriage House garage doors, Olympus steel garage doors, Classica steel garage doors, Stratford/Heritage, and Amarr residential steel garage doors. To get started with your garage door repair, installation, or replacement, contact Action Garage Door in Crowley today and let’s talk about the options available from the garage door repair company that has been caring for customers since 1984.